The wealthy vying for the favour of the powerful, people giving gifts in order to gain something and a society in which greed conquers all. Sounds familiar, doesn’t it? 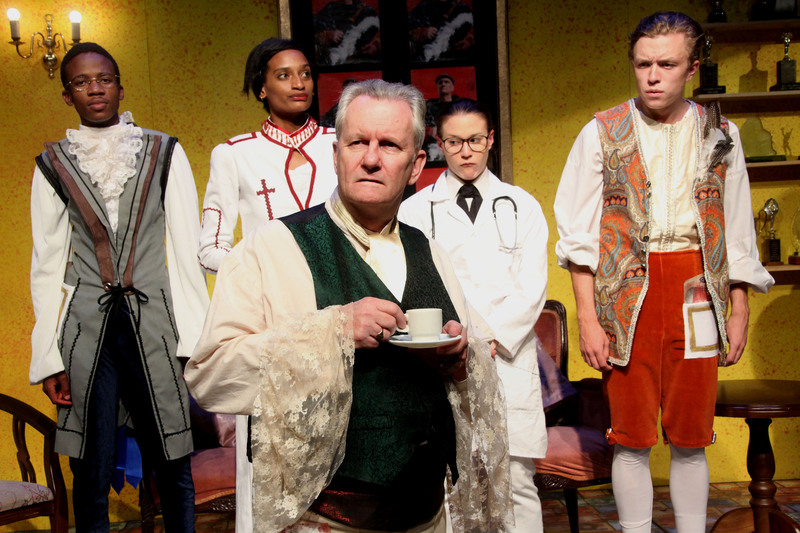 These are the central themes of the play Government Inspector that opened this week at the Wits Theatre. Written more than 150 years ago the play is clearly still relevant to modern-day South African audiences. With the struggles South Africa is facing 20 years into democracy and the fallout from the Nkandla report fresh on our minds, Government Inspector takes a light-hearted look at what the elite will do to stay rich and powerful through the deeds of a string of unlikable characters produced (or performed?) by talented actors. “I think it sort of brings out the universal themes of awful people using their positions to get lots of money and get lots of opportunities, which is as true in imperial Russia as it is here and anywhere else,” says Friedan. The play sees guest performers Peter Terry and Matthew Lotter (both leading South African entertainers) acting alongside Wits School of Arts students. Friedan said she was “very delighted” to have Terry and Lotter work with them. “I think they bring a professionalism and an insight and also a perspective of what it is to work and what matters and doesn’t matter. The students have learnt a lot from them”. Government Inspector is showing at the Wits Theatre on west campus, Braamfontein from till 30 April.